Delaware Governor Jack Markell has appointed Kelly Richardson, COTA, a Certified Occupational Therapy Assistant at Beebe Medical Center, to serve a three-year term on the State Board of Occupational Therapy Practice. Ms. Richardson is the second Beebe Medical Center team member to serve on the present Board. 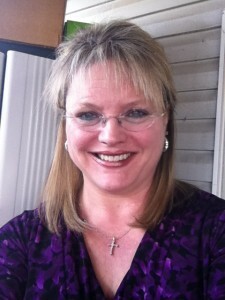 Beebe Medical Center Occupational Therapist Wendy Mears, OTR/L, serves as Board Chairperson. The Board regulates the practice of Occupational Therapy services throughout the state. It formulates the rules and regulations regarding education, training and experience requirements, and the granting and renewing licenses for those professionals in the discipline. Kelly has been a member of the Beebe Rehabilitation Services team since 2005. She works with hospitalized patients, as well as outpatients and those who are served by Beebe Home Health. Kelly earned her Associate’s Degree in Science from Becker College in Worcester, MA, in 1988. She has been a practicing Occupational Therapist Assistant for 25 years. She has worked with adult and pediatric patients with developmental disabilities, and orthopedic and neurological needs. She holds specialty certificates in serial casting for spasticity and wheelchair seating. She earned the President’s Award from the Delaware Occupational Therapy Association when she served as Vice President. “We congratulate Kelly and thank her for promoting excellence in Occupational Therapy across our state,” says Graham Robbins, PT, Director of Rehabilitation Services at Beebe Medical Center.